Stefania undertook her undergraduate degree in in Biological Sciences (First Class Honours) at the University of Calabria, Italy in 2013. 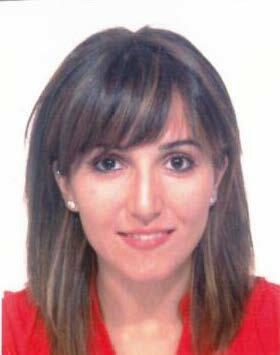 She completed a two-year MSc in Neurobiology at University of Pavia, Italy (First Class Honours, 2013-2015) during which she investigated the variation in gene expression and in Amyloid beta aggregation after treatment with curcuma-derived compounds in Alzheimer’s disease patients. Subsequently she was granted a postgraduate Erasmus studentship to train in statistical genetics at the Institute of Psychiatry, Psychology & Neuroscience (IoPPN), King’s College London (KCL) from November 2015 and September 2016. Under the supervision of Professor John Powell and Dr Petroula Proitsi she used statistical and bioinformatics approaches to investigate the association of blood metabolites with AD and she explored the causal relationship between AD and Rheumatoid Arthritis using Mendelian Randomization approaches. She is currently undertaking her PhD under the supervision of Dr Therese Murphy, Dr Emma Dempster and Prof Jonathan Mill. Her project focuses on integrating cell-type specific epigenomic and small RNA transcriptomics to comprehensively investigate molecular variation in post-mortem brains of mental disorder patients compared to non-psychiatric controls.